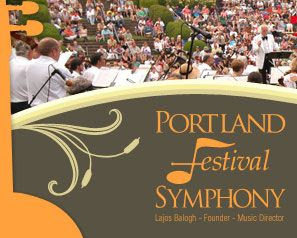 On Wednesday, July 30th the Portland Festival Symphony will perform a free concert starting at 6pm in Peninsula Park! This is one of many concerts Portland Parks holds in neighborhood parks throughout the city. During the months of July and August, the public can enjoy music in parks from Rose City in Northeast Portland to Willamette Park in the southwest. Picnics are welcome and many parks have food vendors on site. Alcoholic beverages for personal consumption are permitted in parks only during the concerts. Concertgoers are asked to help keep our neighborhoods and parks clean by picking up litter. If you pack it in, please pack it out. For a complete list of the concerts, click HERE.